The last Music in The Park for the 2016 season is scheduled for this Sunday, August 28th, at Bandon’s City Park. This is a free event open to the public sponsored by the Greater Bandon Association and the City of Bandon Parks and Recreation Commission. Two bands, Caught Red Handed and Kenny, Rob and Bob will be featured starting at 1 PM. Caught Red Handed is an Oregon Americana band. Members include Bob Shaffar on fiddle and dobro, Kenny Croes on acoustic guitar and ubass, and Mike Dado on acoustic guitar and bass. 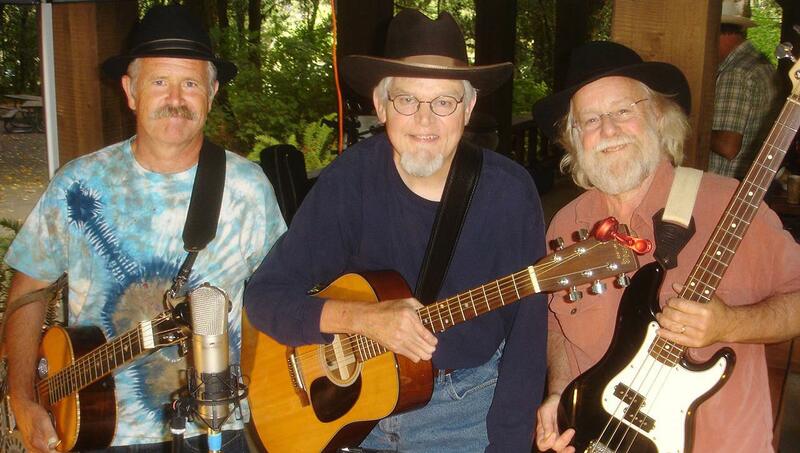 Kenny, Rob and Bob play folk music with a country flavor. Members include Kenny Croes on the acoustic guitar, Bob Shaffer on dobro and fiddle and Rob Carpenter on bass. So bring your chairs, blankets and picnic baskets and join us on Sunday afternoon in Bandon’s City Park. For more information, contact the Greater Bandon Association at (541) 297-2342.